Mauritius is a breath-taking Island nation with a beautiful landscape with panoramic views that seem like they are out of high definition movie. This quaint nation nestled near the African continent in a very popular year-round tourist destination. It has on offer an abundance of white sandy beaches, turquoise lagoons and bright sunny days with occasional bouts of rainfall and pleasant tropical weather all year round. If you are travelling from the northern hemisphere, you can visit during summers do escape the cold, harsh winter and vis-a-vis during winters in order to escape from the sizzling hot weather. It’s the ideal location for a fun family vacation or a romantic getaway with your significant other.While summertime is best suited for a family vacation as the island is bustling with beaches and indoor and outdoor activities are abundant. Winter is best suited for a romantic holiday as there are fewer people on the island and the overall vibe is quite chill and relaxing. So when it comes to determining the best season to visit Mauritius, the choice is entirely yours! Mauritius only has two seasons and both have their fair share of pros and cons. Consequently, both of the seasons can be considered to be the best season to visit Mauritius depending on what you are looking for. Mauritius has pleasant weather all year round, hence making it an ideal tourist destination 365 days a year. Irrespective of when you decide to visit Mauritius, you can expect comfortable weather all day long. You can enjoy a host of indoor and outdoor activities with your family or friends. Since Mauritius is within close proximities to the Tropic of Capricorn, the Sun is at a higher angle here than any other destination in the world. As a result of this, the country enjoys long summer days with an abundance bright sunny skies all time of the year. The weather and climate of Mauritius are classified as microclimate, i.e. while one part of the island may experience heavy rains with grey skies, the other part would enjoy bright sunny skies with clear weather. If the day starts out with heavy rainfall, as the hour pass, the rain would eventually clear out making way for the bright blue sky and a pleasant evening. So, don’t be disheartened or discouraged by sudden unexpected rainfall. It’s only a fad and will wash out eventually. You can then continue to enjoy your day as planned. 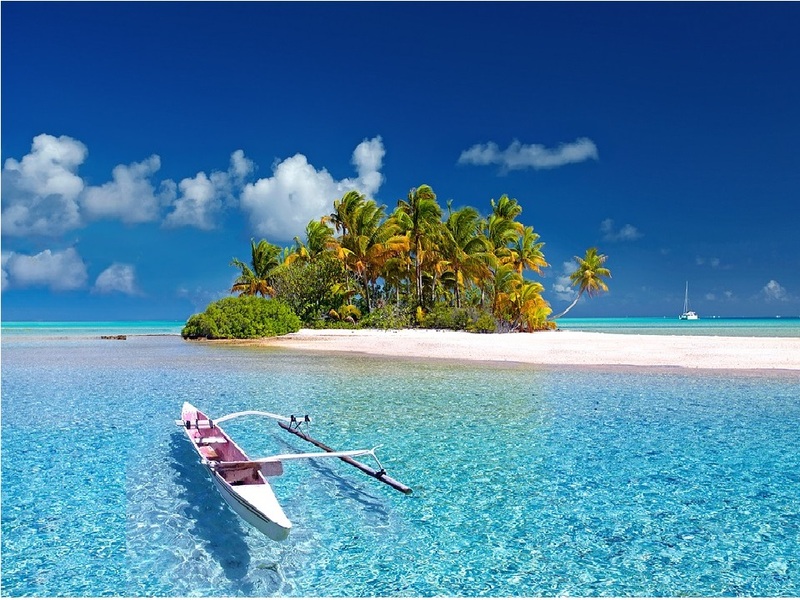 The microclimate of Mauritius ensures its many tourists can enjoy white sandy beaches, turquoise lagoons and pleasant tropical weather all year around. Mauritius has only two seasons, i.e. Summer that starts in November and ends in April and Winter that Starts in May and ends in October. 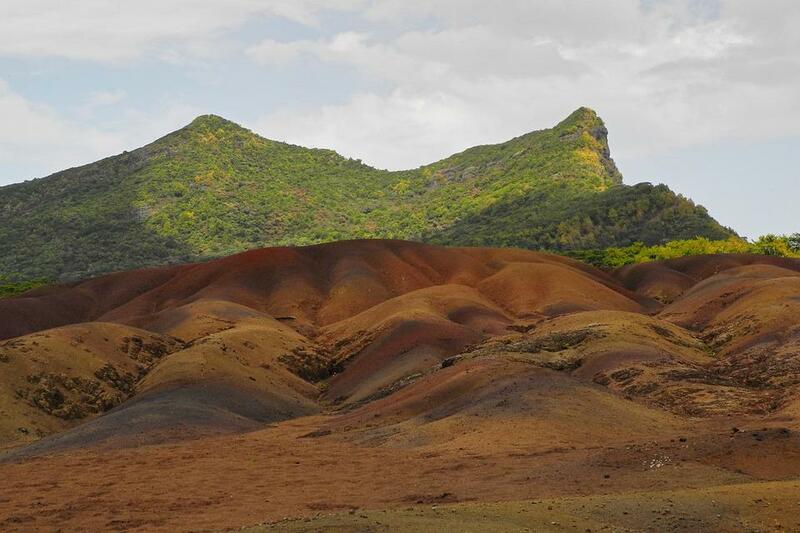 Mauritius has very undistributed rainfall, and it rains 12 months a year. There is no specific dry or wet season. However, December through April is typically more humid than other months and winter times is drier. There is no significant change in temperature throughout the year and between the two seasons. Neither are there any well-defined dry wet(rainy) seasons. October and May are when the island nations experience a shift or transition in the season from winters to summers. There is high humidity along coastal plain regions of Mauritius during Summertime. The hottest months are December-February. This Is also when Cyclones may occur in the area. The average temperature of the coastal region is usually 3 to 5 degrees higher than other parts of the island especially the central plateau regions. If you wish to understand as to which is the Best Season to visit Mauritius, read on and you’ll know all! 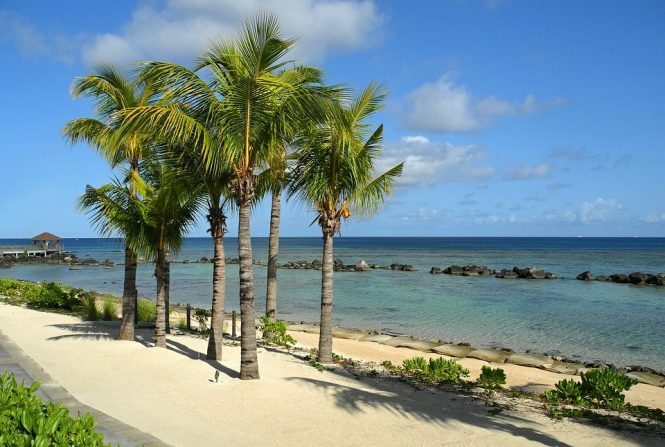 Mauritius tour package is ideal for a fun family vacation or a romantic getaway with your significant other. Overview: What is the best season to visit Mauritius? Summer temperatures range between 27 degrees to 30 degrees between November and April. The hottest months are December, January and February. Sunrise occurs around 5 am in the morning, and the sunsets around 7 am and sometimes even later. As a result of this twilight, tourist can enjoy the scenic outdoors of Mauritius all day and long and well until later hours of the evening. But don’t worry if you happen to visit this picturesque island nation during winters as the sun rises around 6 am and set around 6 pm, still allowing for plenty of sunlight all day along. The sun sets about an hour later in the Northern regions of islands as compared the central and eastern areas. The same applies phenomena occurs during winter time when northern regions typically enjoy an extra hour of sunlight during the evening. The hottest months are December-February. This is also when Cyclones may occur in the region. The northern and western regions are drier than the southern and eastern regions of the island. This is the best season to visit Mauritius with your family for a holiday. Temperature: Summer temperatures range between 27 degrees to 30 degrees between October and April. The hottest months are December, January and February. Weather: The weather is typically hot and humid; the days are long, and cyclones can occur between December and February. This is a very busy time in Mauritius with crowded bases and hoard of people everywhere. Significance: You can enjoy many outdoor activities during this time such as walks in the beach, swimming, water sports, fishing, diving, boating etc. Why you should visit now: The weather is quite pleasant with long sunny days. And if you happen to live in the northern hemisphere this is the best to visit Mauritius, and you can escape the dark and cold winter days. Know before you visit: Cyclones may occur during December and February, so make sure you keep an eye out for any cyclone warnings before venturing out to the beach fronts. Tips: The days are laces with bright sunlight so make sure you carry sun scream, shades, hats, beachwear, refreshing drinks, energy bars, comfortable walking shoes, weather appropriate clothing, mosquito replant etc. Winters on the island nation of Mauritius lies between May and October. The average temperature ranges between 24 and 26 degrees Celsius. There is an insignificant change in temperature during the winter months and very slight variation in temperature between summer and winter months. Hence, winters are an ideal time to visit Mauritius if you want to enjoy less crowded beaches, off-season hotel prices, lower taxi fares and cyclone free beach fronts. In fact, winter months are quite dry, so there is little to no rainfall, and even if rains occur it’s during the evenings. You can enjoy great bargains in shopping and food during this time. The people and overall vibe of the island are quite chill and relaxed during winter time an everybody is recovering from the busy summer season. So, if you are looking for relaxing getaway then visit Mauritius during this time. Additionally, if you are looking to escape the sizzling summer months in the Northern Hemisphere, then this is the best time to visit the scenic country. You can enjoy many outdoor activities during this time, such as romantic walks on the beachfront with minimal tanning, swimming in the waters if you can brave the cold temperatures. You can also enjoy some great ocean waves during winters especially if you happen to be in the Le Morne and Tamarin regions of the Island. It’s also the best season to visit Mauritius in order to visit the famous scenic and historic sites if Mauritius as there are fewer people at the attractions. This is the best time to plan a romantic holiday in Mauritius. 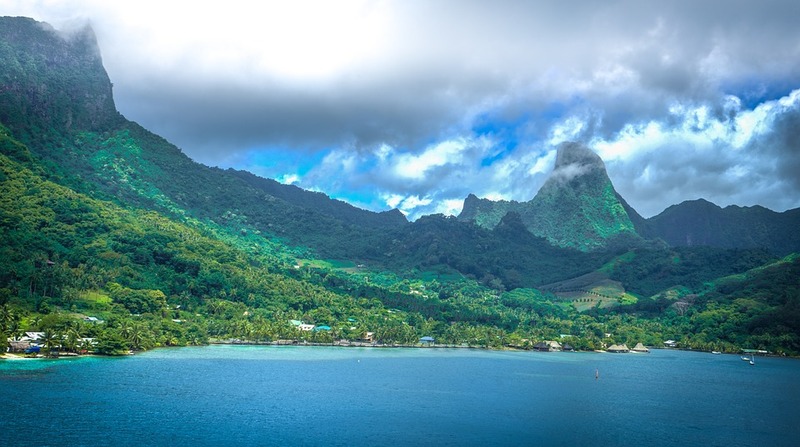 Temperature: Winters on the island nation of Mauritius lies between May and October. The average temperature ranges between 24 and 26 degrees Celsius. 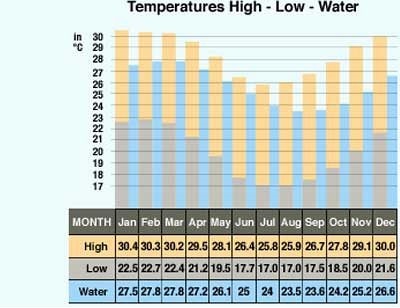 There is an insignificant change in temperature during the winter months and very slight variation in temperature between summer and winter months. Weather: Winter months are quite dry so there is little to no rainfall and even if rains occur it’s during the evenings. Hence, winters are an ideal time to visit Mauritius if you want to enjoy less crowded beaches, off-season hotel prices, lower taxi fares and cyclone free beach fronts. Significance: You can enjoy many outdoor activities during this time, such as romantic walks on the beachfront with minimal tanning, swimming in the waters if you can brave the cold temperatures. You can also enjoy some great ocean waves during winters especially if you happen to be in the Le Morne and Tamarin regions of the Island. It’s also the best time to visit the famous scenic and historic sites if Mauritius as there are fewer people at the attractions. This is the best time to plan a romantic holiday in Mauritius. Why you should visit now: You can enjoy great bargains in shopping and food during this time. The people and overall vibe of the island are quite chill and relaxed during winter time an everybody is recovering from the busy summer season. So, if you are looking for relaxing getaway then visit Mauritius during this time. Additionally, if you are looking to escape the sizzling summer months in the Northern Hemisphere, then this is the best time to visit the scenic country. Know before you visit: The weather is quite dry so there is little to no rainfall and even if rains occur it’s during the evenings. Tips: Sun Scream, shades, hats, beachwear, refreshing drinks, energy bars, comfortable walking shoes, weather appropriate clothing, mosquito replant etc. 1. What is the best season to visit Mauritius? If you are wondering what the best season to visit Mauritius is, well then there isn’t, there are only two seasons, and both have their advantages and disadvantages. 2. What is the primary season in Mauritius? Mauritius has only two seasons, i.e. Summer that starts in November and ends in April and Winter that Starts in May and ends in October. 3. What is the average summer temperature? 4. What is the average Winter Temperature? The average temperature ranges between 24 and 26 degrees Celsius. There is an insignificant change in temperature during the winter months and very slight variation in temperature between summer and winter months. 5.What activities can you enjoy during summers? You can enjoy many outdoor activities during summers, such as walks in the beach, swimming, water sports, fishing, diving, boating etc. 6. What activities can you enjoy during winters? It is also the Best Season to Visit Mauritius if you enjoy visiting historical sites and want to be among lesser crowds. It is a good time to visit even for honeymoon couples and those looking for a romantic getaway. 7. What is the cyclone season in Mauritius? Cyclones can occur during December and February, so make sure you keep an eye out for any cyclone warnings before venturing out to the beach fronts. 8. When does rainfall occur and what is the wettest period in Mauritius? Mauritius has very undistributed rainfall, and it rains 12 months a year. There is no specific dry or wet season. However, December through April is typically wetter than other months and winter times is drier. Mauritius has pleasant weather all year round, making it an ideal tourist destination 365 days a year. Irrespective of when you decide to visit Mauritius, you can expect comfortable weather all day long. You can enjoy a host of indoor and outdoor activities with your family or friends. Mauritius has only two seasons, i.e. Summer that starts in November and ends in April and Winter that Starts in May and ends in October. The country has very undistributed rainfall, and it rains 12 months a year. There is no specific dry or wet season. However, December through April is typically more humid than other months and winter times is drier. 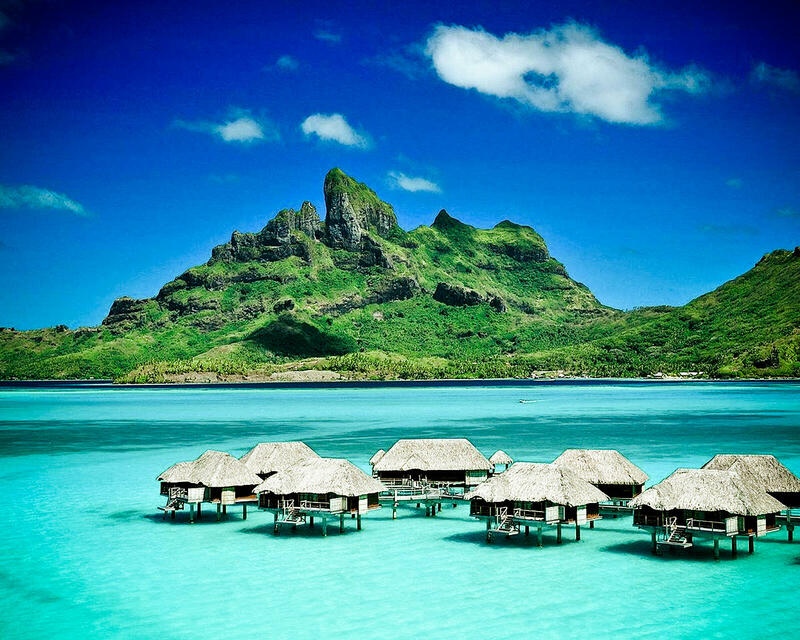 As such, you can say there is no particular time which can be called the Best Season to visit Mauritius. It all depends on your personal preferences and choices.